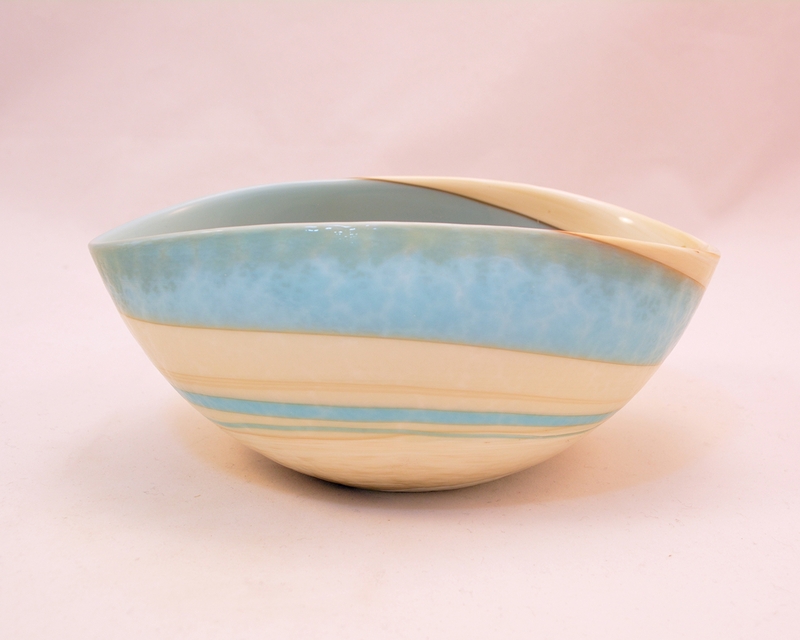 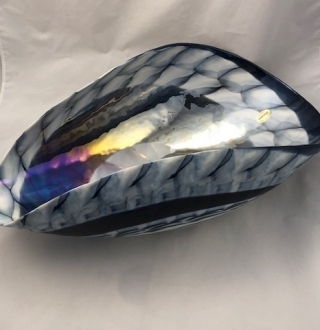 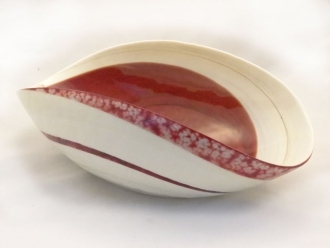 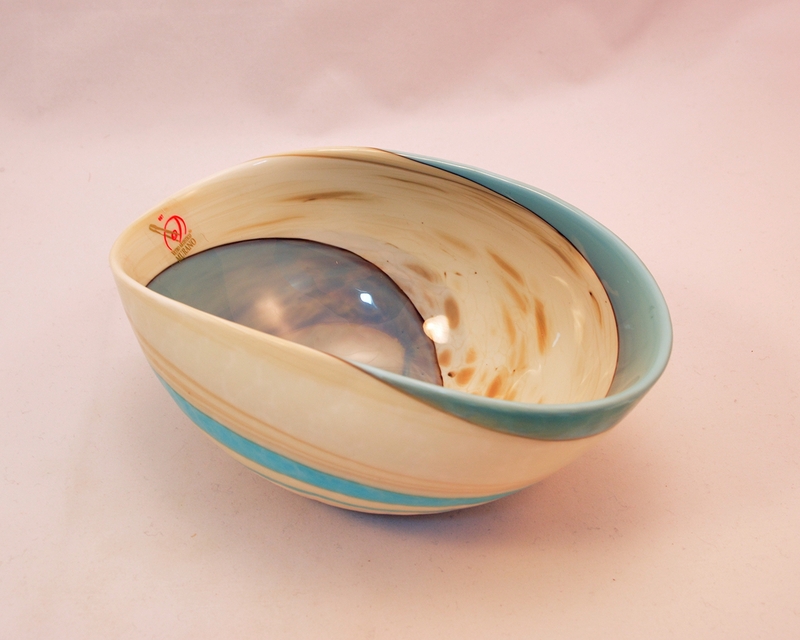 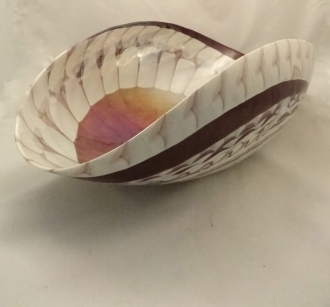 Mignon Marbled Ivory and turquoise folded bowl - Murano Glass - Murano Glass Gifts Co. This folded bowl is an excellent center piece. This marble white bowl is marked with turquoise and ivory colored rings on the outside. 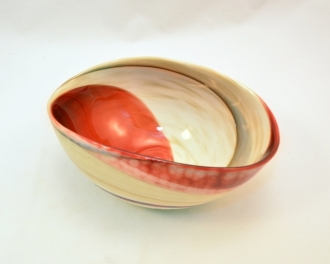 The inside of the bowl bears a design that resembles the yin-yan. 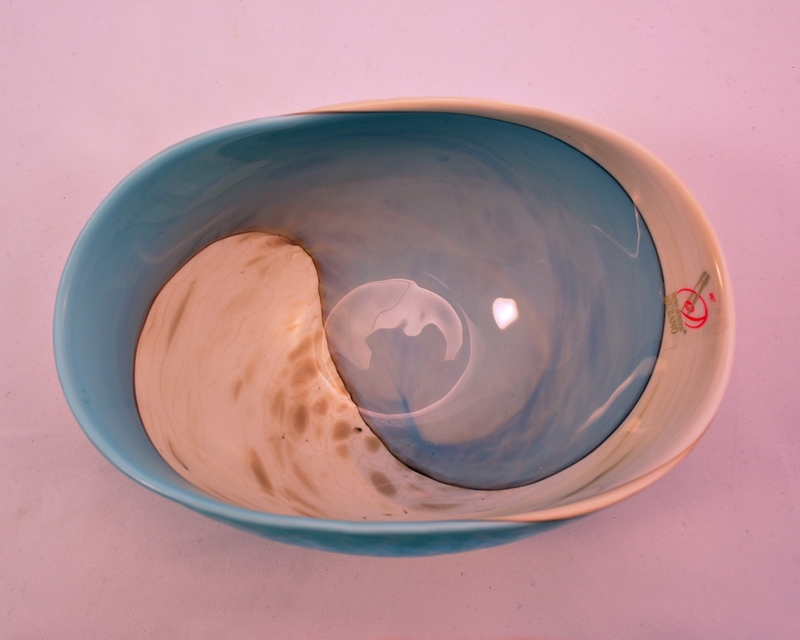 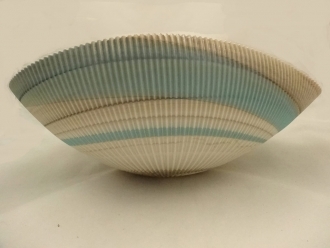 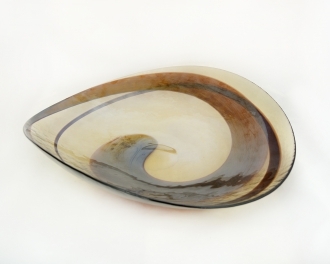 The shallow bowl is only 3” deep, 7”wide and 5” long. 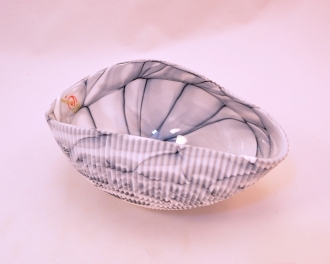 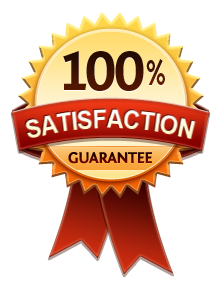 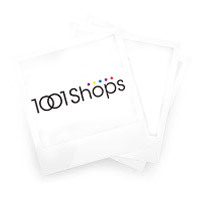 It can be used either to hold decorative trinkets on your drawing room side table or fruits on your banquet table. 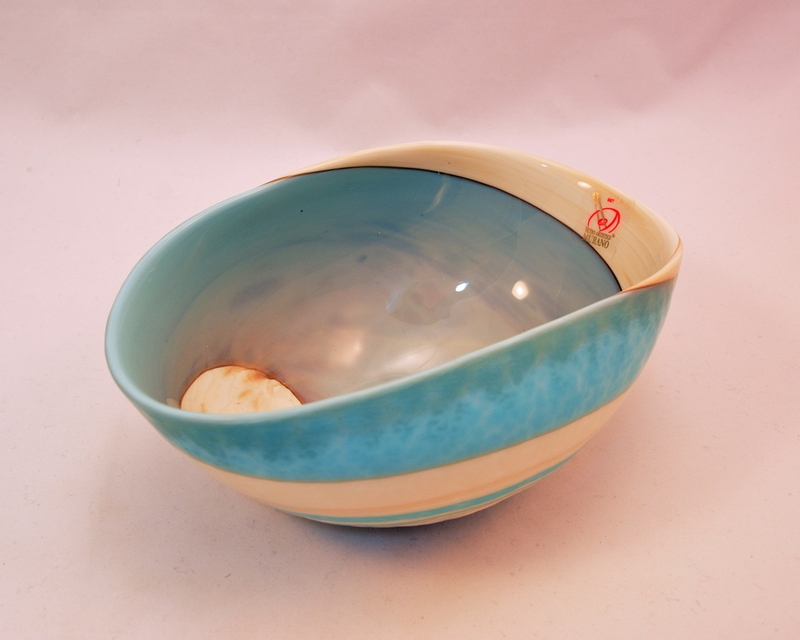 The authenticity of the bowl is proved by the stamp of the glass blowers’ consortium.